These are the original progressively wound springs which changed the game for suspension manufacturers everywhere. The kit's springs have been specifically wound to reduce front-end "dive" during braking, while still providing amazing ride comfort. 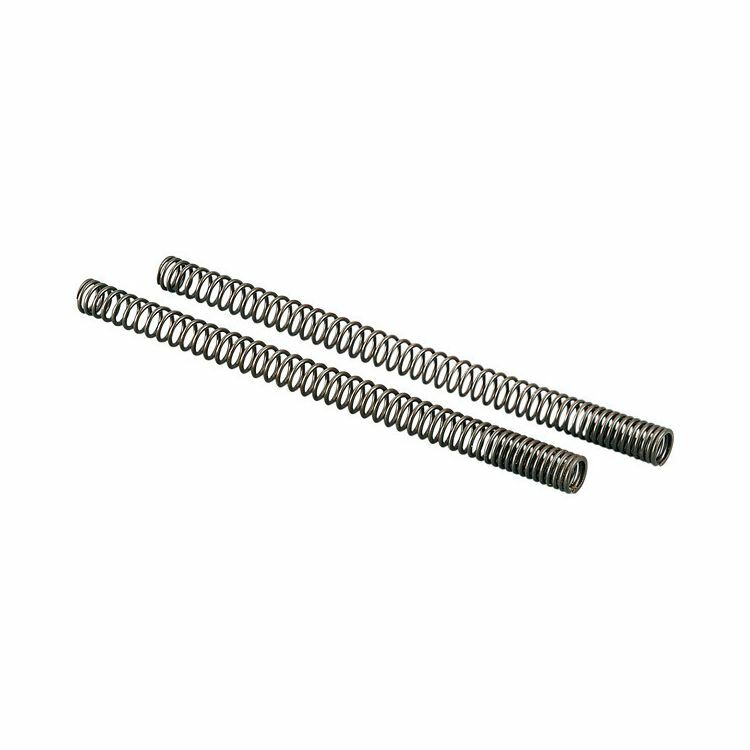 Progressive-rate fork springs have several advantages over straight rate springs. A progressive-rate spring has the advantage of further resisting compression as more force is applied. The benefit of this is that the spring can be soft enough at the start of the travel to offer a "plush" ride, yet be firm enough at the end of the travel to soak up the big bumps.